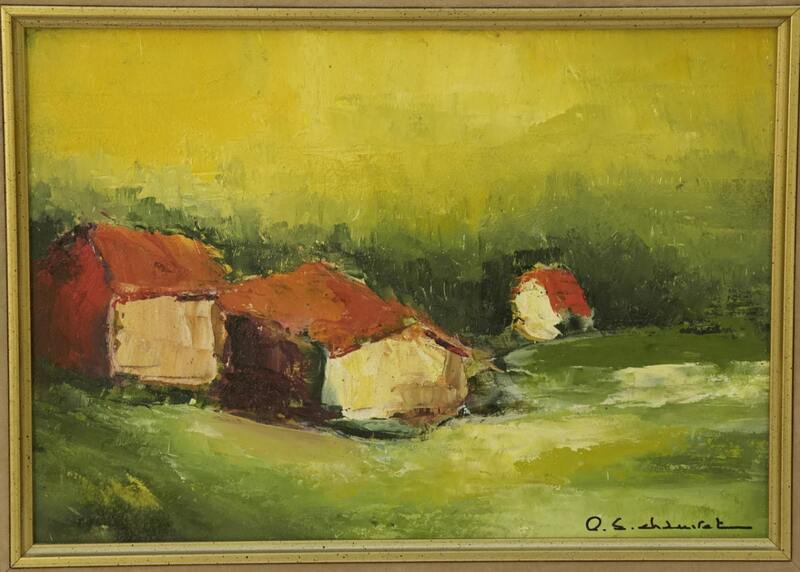 A framed French landscape painting by artist Pierre Eugene Chauvet (1921 - 2004). 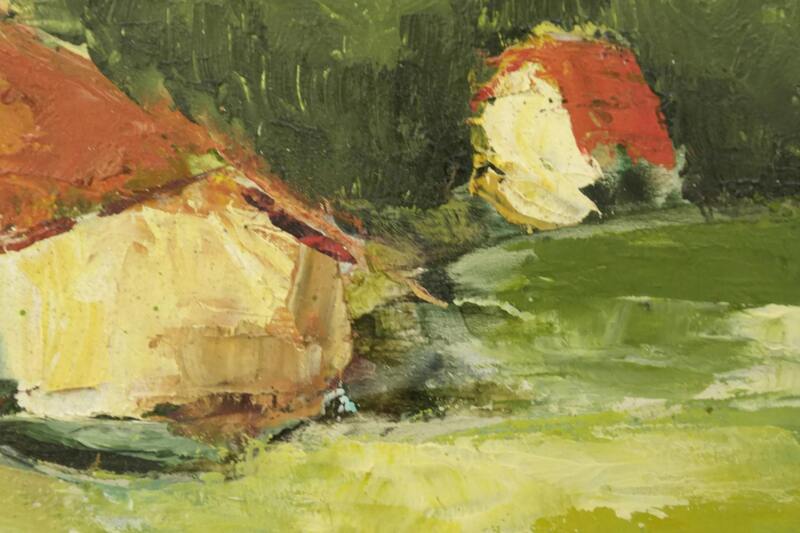 The work has been entitled "The Hamlet" and has been painted in oil on board. The artist has used a vibrant palette of colors to evoke summer in Provence. 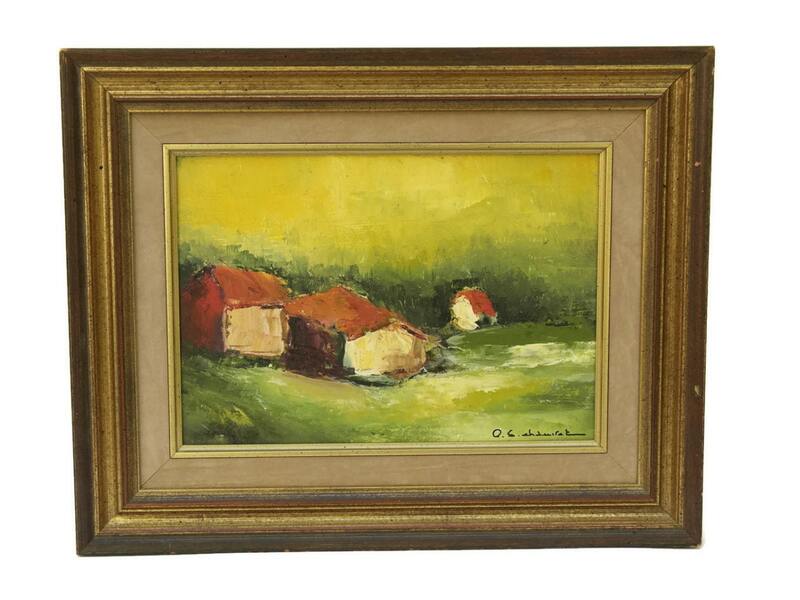 The painting has been signed by the artist and framed in a wooden frame with velvet mounting. 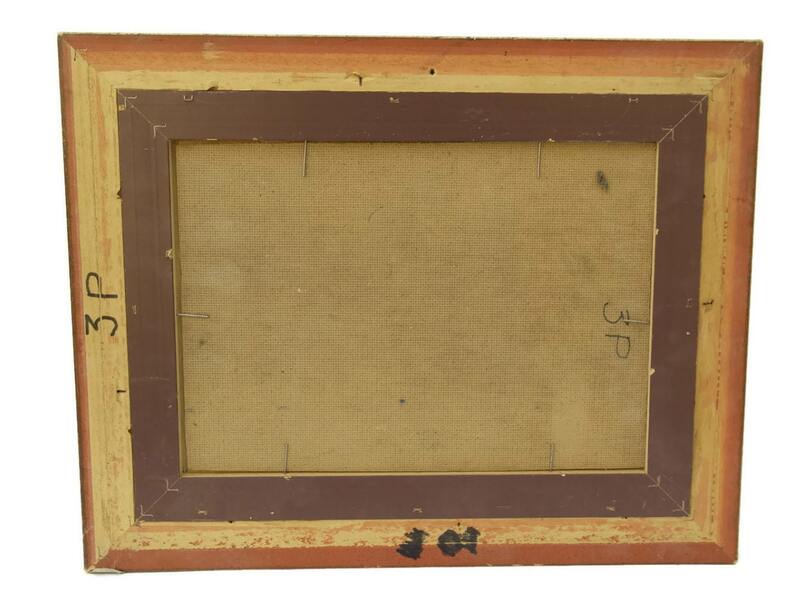 Including frame : 16" wide x 13" high (40 cm x 32 cm). Image size : 11" wide x 8" high (27 cm x 19 cm). 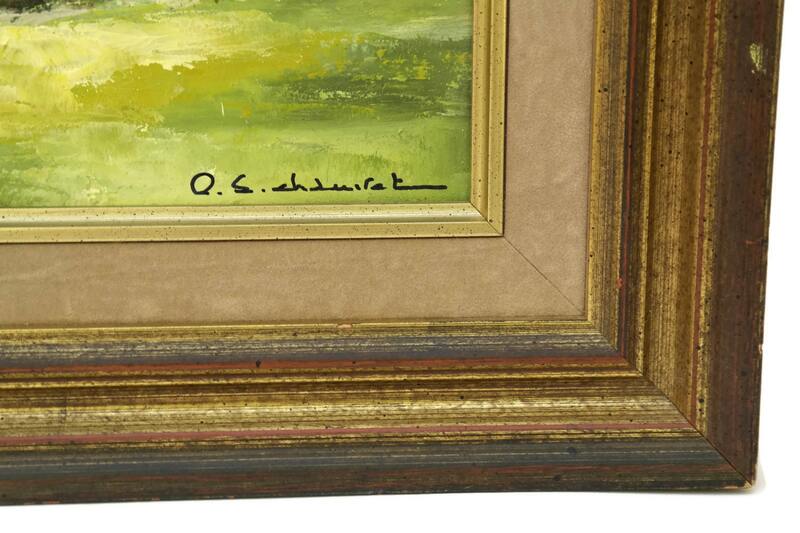 The oil painting is in very good condition with some light signs of wear to the frame. Hanging hardware is not included.